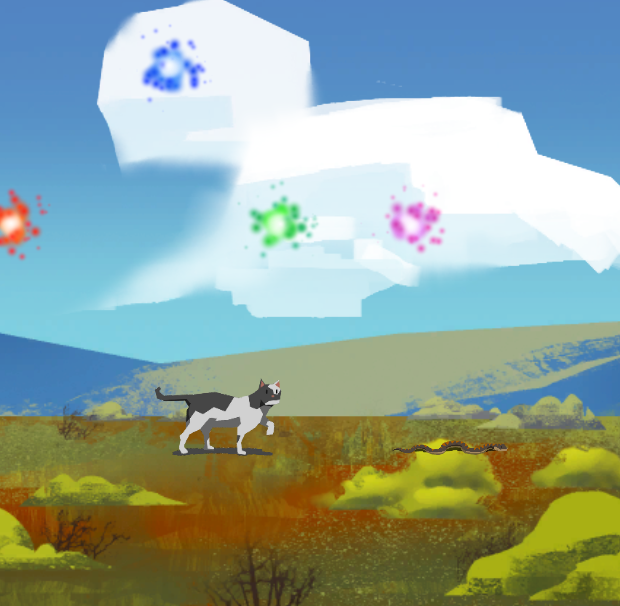 Animal Spirits is a brawler where you can transfer your conscience between different animals. Discover what you find to be your prey and your predators in the vibrant ecosystem of the asymmetric fighting game that is the circle of life. 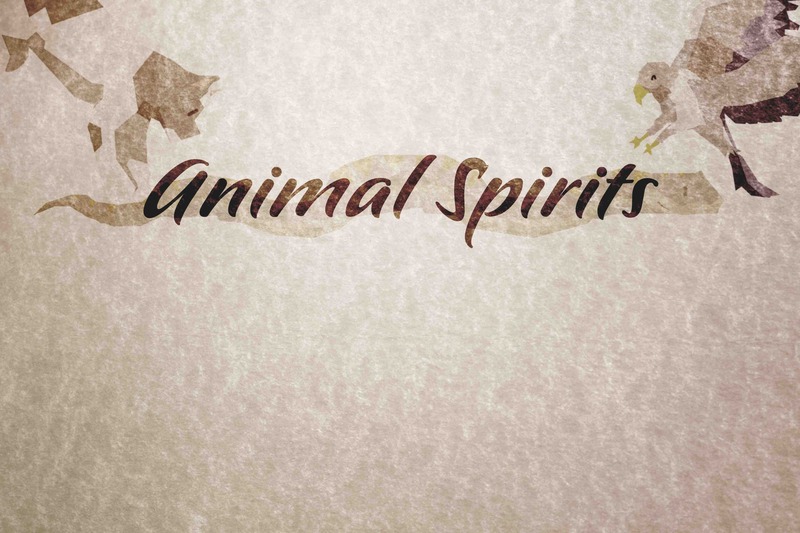 Is an animal weak or is your spirit just not strong enough? 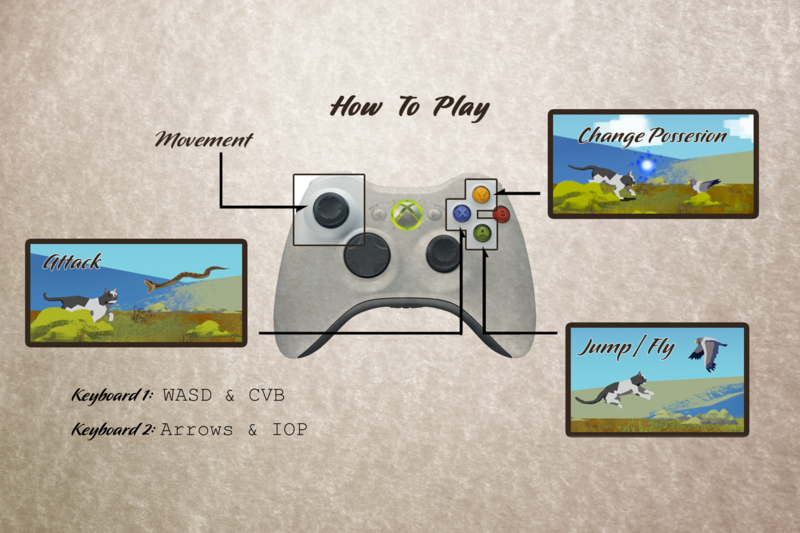 We created the local 2-4p multiplayer game in 48 hours at Global Game Jam 2014, with XBox Controllers, Adobe Suite, and Unity. 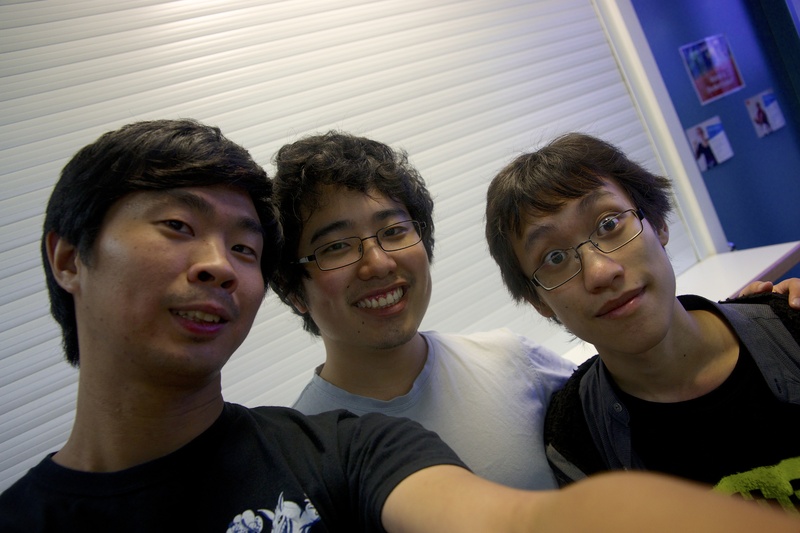 Cameron Lai worked on the cool art and animations. Xavier Ho and I worked on the build. I also enjoyed helped a bit with background visuals and effects. Note: XBox Controllers Required. 2-4 players. Unity was becoming more popular as a free game engine for quick collaborations amongst diverse teams, so we decided to give it a go (back then Unreal wasn’t free). After some time chatting about life, and about what type of game we wanted to build, we finally settled on something akin to Super Smash Brothers - a brawler. Whilst Xavier and I started building the mechanics (basic platform-character movement), Cameron started drawing the sweet visuals. 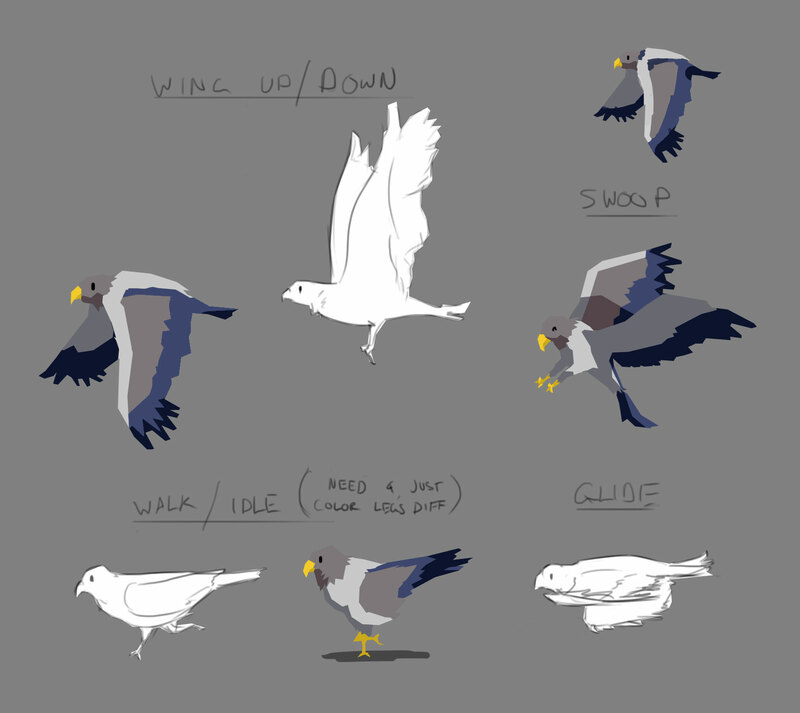 Having a game engine like Unity did make handling assets and animations quite a bit easier than Processing. Sourced and tagged a bunch of background audio and soundfx from flashkit.com and freesfx.co.uk . These were then filtered and selected. And feeling in some of Cam’s sick illustrations. Also experimented with some really cool recursive, fractal looking 3d particle effects during the game jam. Unfortunately I didn’t take many screenshots/casts during the jam (something I’ve learned are necessary for future projects - especially when dealing with multi-file projects like games). Here’s a screenshot with the more simplified particle effects we settled on (Unity makes these quite easy to play with, with their Particle Editor). Tried out procedural clouds for a bit, though technically cool, they didn’t look as right as textured clouds which we had in the end. We also didn’t version control this project, instead running usbs across the 3 of us - with a crazy directory of files. Yeah - next time we’ll definitely have to find a way to do version control (or modularise things a bit more, though I don’t think our roles were distinct enough for modularisation in this project). There was an issue in that we didn’t have internet access and had to use hotspots - i blew way past my mobile data plan (but thank goodness I only ever get prepaid, so the telco can’t charge you for going over). Use familiar tools (in this case, it probably would’ve benefited us to get a bit more familiarity with Unity first - or even go with Processing - which is more easily modularised). Having an internet connection for version control. Modularising roles and hence file access. (Not having modularised roles in this project was quite fun though, and I feel everyone gets to learn more - though having some distinct roles and responsibilities is always important regardless). All round a fun experience, it was very cool to have an experience where everyone mutually learned off one another. Afterwards it was also great to see some of the amazing work done by other teams at the jam - especially some of the cool and novel game mechanics that people came up with! As with anything, we could’ve always have done better, I reckon we did a decent job given how late we started, certainly learnt a lot which is always awesome.